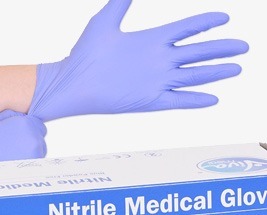 Made to a high quality medical grade, we offer an excellent range of Latex, Vinyl, Nitrile and Synthetic gloves, available either lightly powdered or powder free. 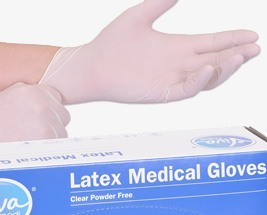 Powdered gloves absorb perspiration and there is less risk of ripping or tearing them while donning them. 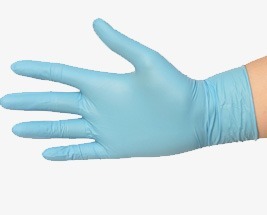 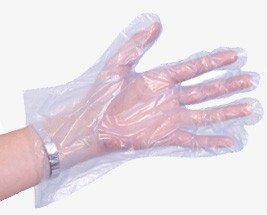 Latex gloves offer excellent strength, Nitrile gloves are latex free and are resistant to punctures. 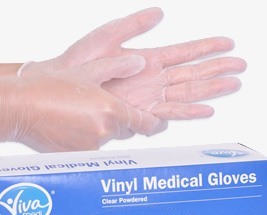 Vinyl gloves tend to be the most cost-effective. 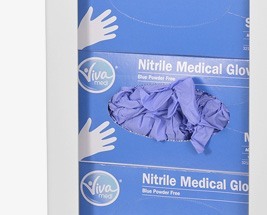 We also stock a range of single and triple glove dispensers, both for home and medical use, which allow hygienic single-handed access to gloves whilst keeping work surfaces clear.